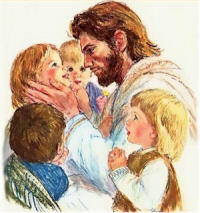 Then some people brought little children to Jesus to have him bless them and pray for them. But the disciples told the people not to do that. 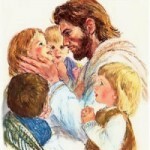 Jesus said, “Don’t stop children from coming to me! Children like these are part of the kingdom of God.” Then Jesus blessed them. Pay close attention just where and when Jesus meets these children. You’ll notice it seems when he is exhausted and frustrated by the adults, he seeks the fun and innocence of kids. At Immanuel Lutheran Preschool we want each child to know Jesus … His constant love and His complete forgiveness. At our preschool your child is nurtured in a Christian, family-like atmosphere where they hear daily how we are all special and unique children of God. Children learn in a happy, joyful partnership between home and school creating a caring and loving environment for development of the whole child. Click here for just about everything you hopefully need to know about our preschool.